According to our research, both hydrogen production and growth rate of Rhodobacter sphaeroides 2.4.1 goes up with the increase of light intensity until that reaches 600 ft-c (6500Lux) (Fig. 1) . Photosynthetic bacteria can maintain the maximal hydrogen production if enough light to be continuously irradiated. Figure 1. Rates of H2 production and growth of R. capsulata Z-1 at different light intensities. 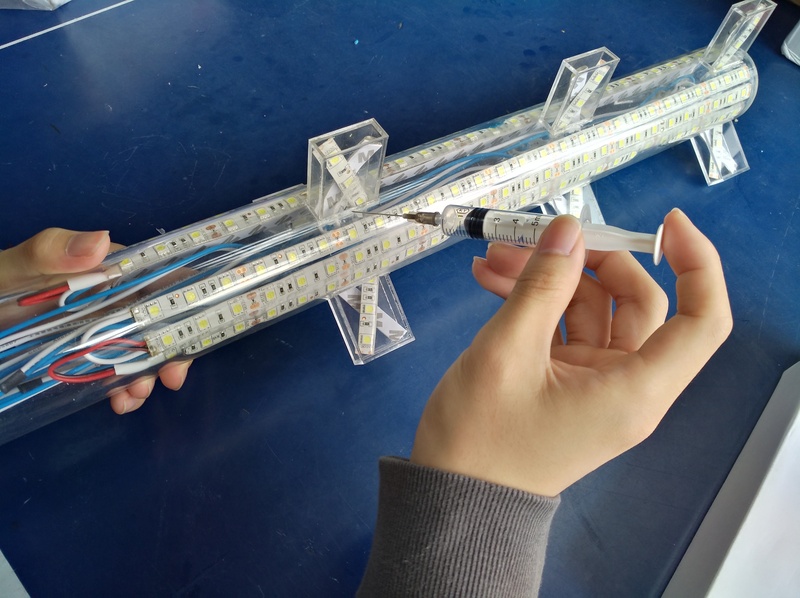 Through the market survey, we found that the traditional light source in photobioreactor is mainly external light plate or built-in lamp, each of which has a defect. Using the external light makes it difficult to take the internal light effect into account. As a result, the volume of the bacterial liquid per minute which is exposed to sufficient light is small (Fig. 2). 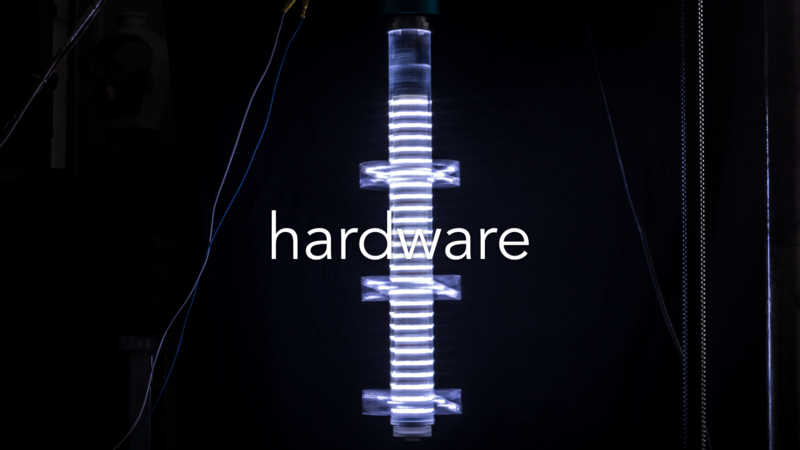 While the built-in lamp will affect the mass transfer effect of the photobioreactor. So we decided to solve the two problems above by designing a new impeller. Figure 2. The sketch map and light distribution of photobioreactor of which the light surrounds outside. 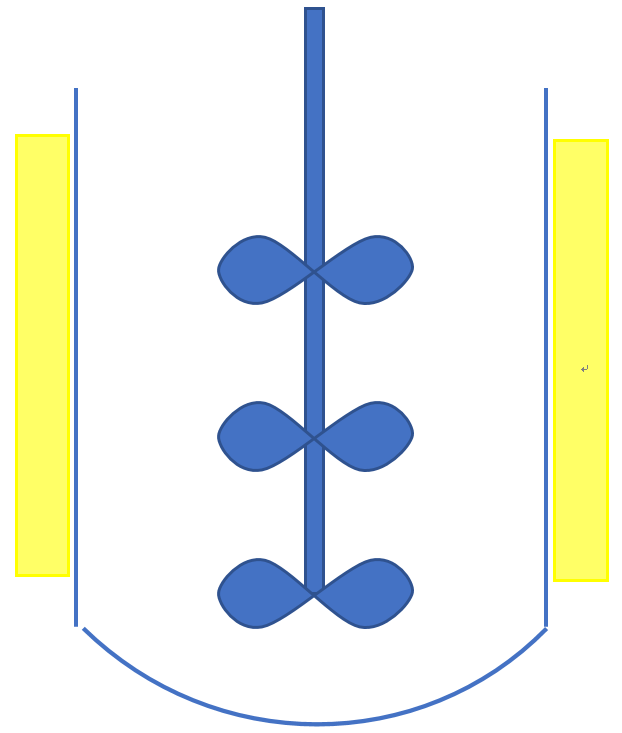 When there is only a light source in the outer jacket, the light attenuation curve is shown in Fig. 2 (left). 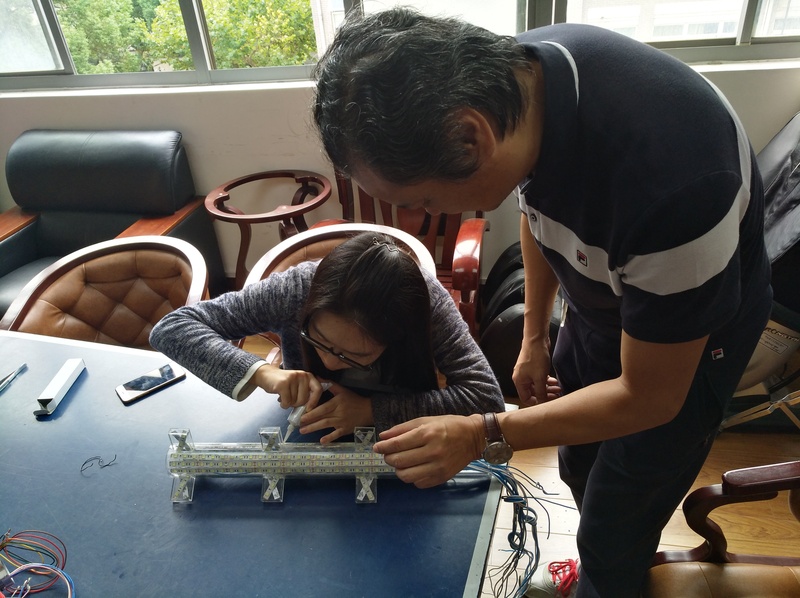 As we can see, the light intensity in the center of the photobioreactor could not meet the maximum hydrogen production requirement. The steel column structure internal ensures the stability of the device when stirring. The shell uses plexiglass material, to ensure its smoothness and being waterproof at the same time, LED lights are embedded inside. The upper part of it uses 12-way 5V brush device, to prevent the line from winding together caused by the rotation of the agitator. 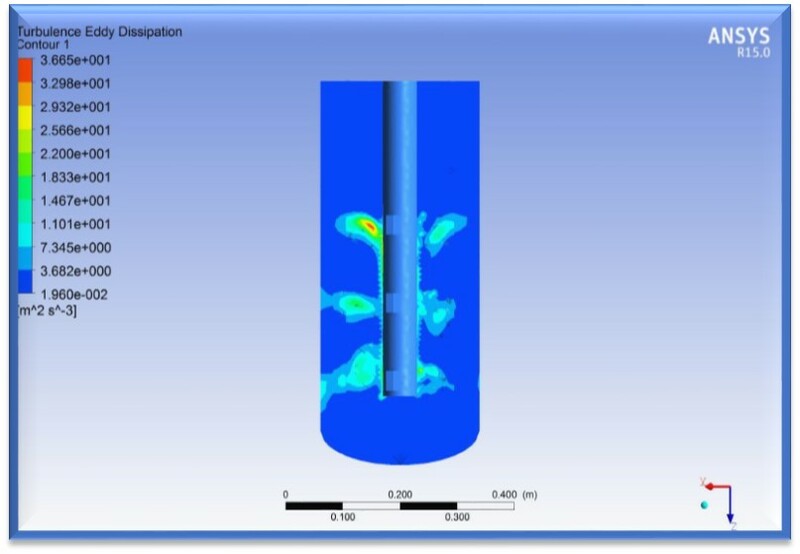 The flow field of the whole device is simulated by the principle of fluid mechanics, and the flow field distribution in the unidirectional flow model is good and has good stirring performance. Comparing the addition of the built-in light source into the reactor with the original reactor, we found that during the same amount of time the volume of light cover greatly increased, which helps the improvement of the efficiency of the Rhodobacter Sphaeroides 2.4.1. 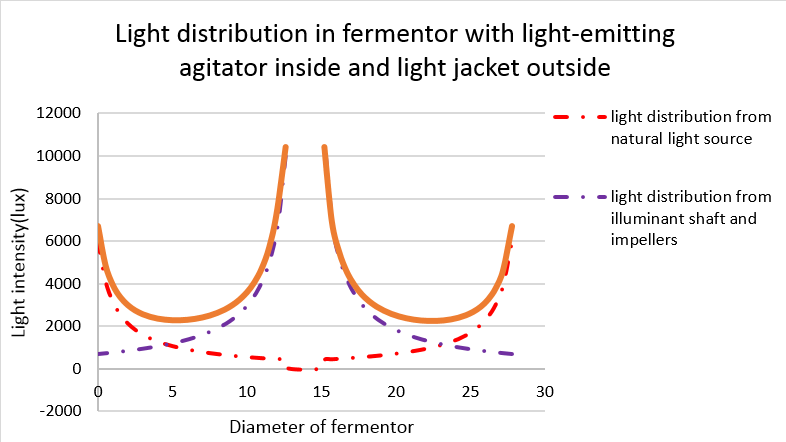 Comparing the light distribution effect in fermentor with both light-emitting agitator and light jacket with which only has light jacket, we can find that the light intensity has significantly increased. 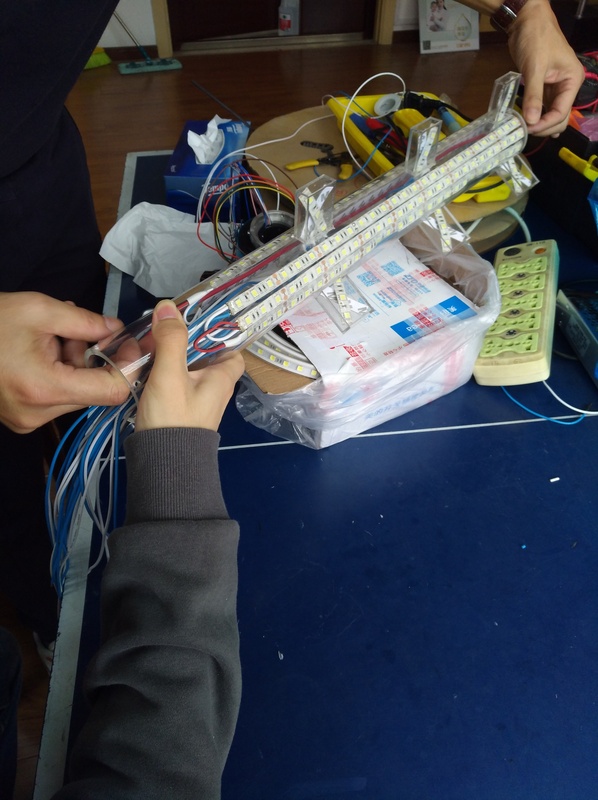 This characterizes that our new photobioreactor meet the light need of photobioreactor. 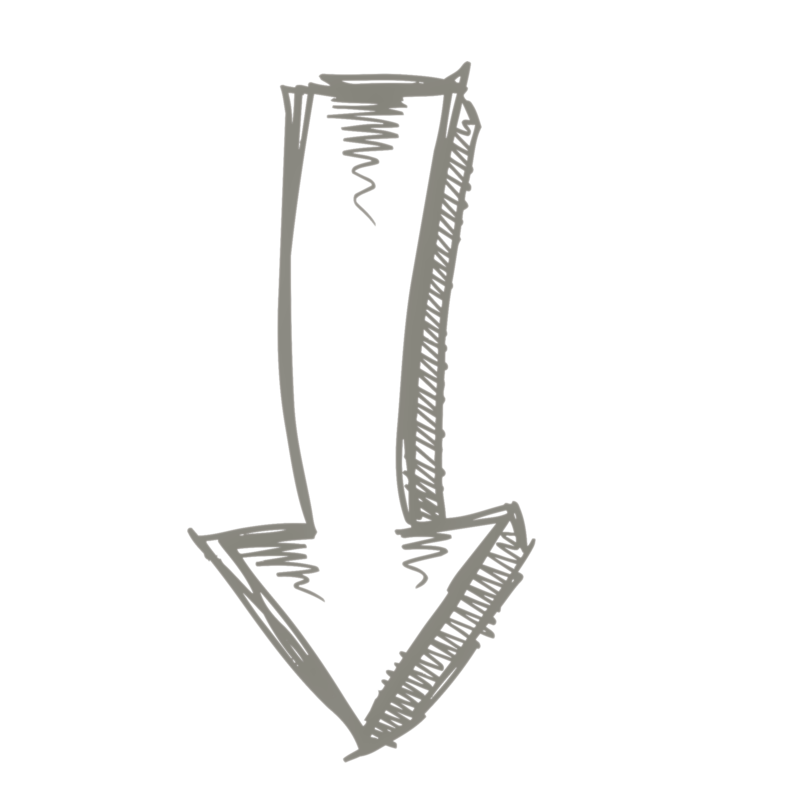 Figure 4：Light distribution of photobioreactor of which the light surrounds both outside and inside. Hillmer P, Gest H. H2 metabolism in the photosynthetic bacterium Rhodopseudomonas capsulata: production and utilization of H2 by resting cells[J]. Journal of Bacteriology, 1977, 129(2):732.